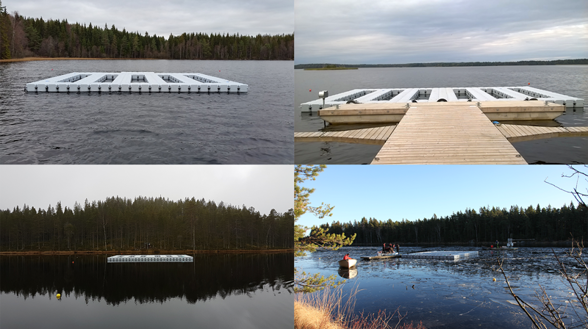 SITES AquaNet was initiated to create a standardised infrastructure for mesocosm experiments in lakes, with facilities spread across geographical and climatic gradients in Sweden. An update on the progress and upcoming plans are told by Pablo Urrutia Cordero, coordinator of SITES AquaNet since this November. All platforms have been successfully deployed in each lake this fall, tells Pablo. Erken has also done some tests of the PE enclosures to see how well they withstand harsh conditions over winter – knowledge from which researches interested in doing winter science in the future will strongly benefit from. Follow ups on the May and September meetings, along with productive discussions afterwards with all involved stations, has resulted in a decision on a sensor system to have in the mesocosms, says Pablo. This setup includes: O2, temperature, photosynthetic active radiation and chlorophyll sensors full time deployed in each mesocosm. Then a conductivity/pH sensor or a multiprobe for handheld measurements. There are also plans to test some CO2 sensors, which could be good for future projects. 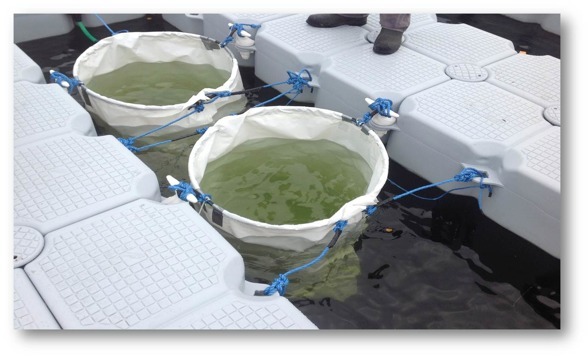 Additionally we have looked into mixing methods for the mesocosms, as it is very important in order to mimic the natural mixing regimes in natural lakes. It will also avoid using manual mixing methods and reduce maintenance work during the experiments. We are now testing a little impeller placed in the water, which has proven very promising so far, tells Pablo. In order to reduce the working load (number of visits to the platform) we will explore having a camera surveillance system at each platform. At the moment we are working on checking with authorities about permits needed for this. We are also working all stations together to have a common application this month regarding fish ethical permits, says Pablo. 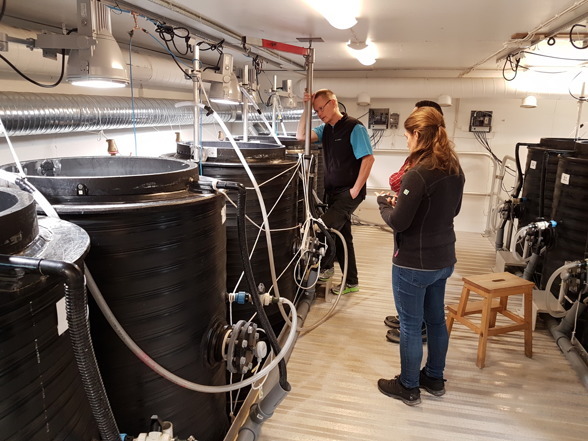 In 2017 the experimental system will be used for pilot experiments to test multidimensional aspects of functional and compositional stabili­ty of lake plankton communities in response to pulse and press disturbances. These experiments will run at all stations and Pablo will help out and support stations for setting up experiments. In one way or the other, the participating stations will involve seasonal personnel and field assistants to see this through. To run the initiative long-term, further funding are included in the structure of the application to the Swedish Research Council regarding continuation of SITES, which will be sent in 2017. At the SITES Tour on KBC days, SITES met with Henrik Larsson at Umeå Marine Sciences Centre. Henrik later invited SITES AquaNet representatives and others to a visit and showed the system they are running. This opens up for valuable collaboration and knowledge exchange in the future.